Months and months of preparation for it to be over in a flash and although you have lots of thoughtful and much lusted over gifts, you are now so deep into your overdraft you could drown and your house is full of empty wine bottles and the next payday seems like forever away. 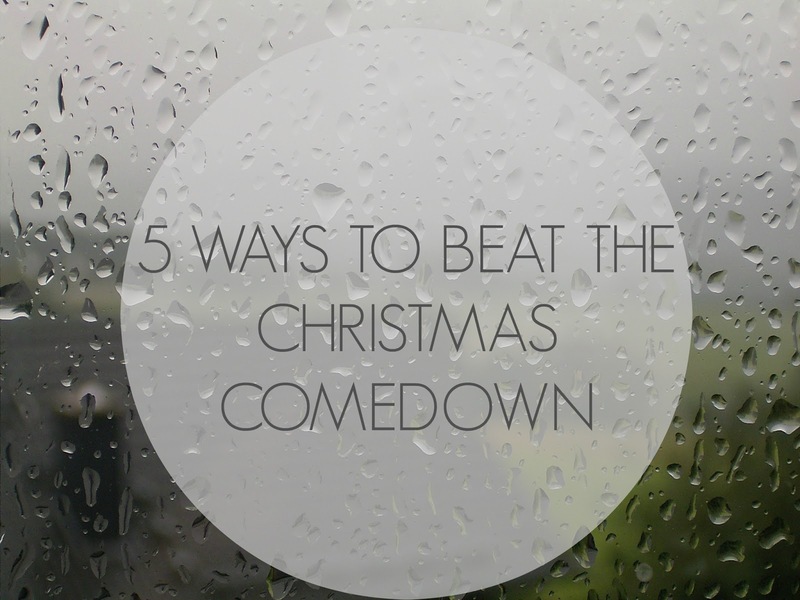 I am on the BIGGEST Christmas comedown it is unbelievable, I woke up this morning and just didn't really know what to do with myself other than write. It's the first Christmas my daughter, Harper, has actually understood and embraced the magic of it all, for it to be over in 48 hours and I think this is one of the big reasons why I am feeling so groggy. Today's post is all about how to avoid how I am feeling and I am hoping to take some of my own advice, so if you're sobbing into your leftover turkey or drowning your sorrows in a bottle of baileys this post is for you. 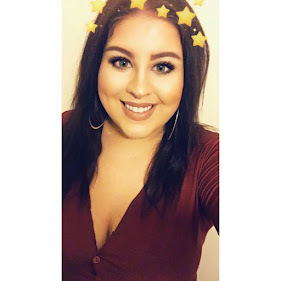 Just under a year ago I started my blog and the only regret I have is starting one sooner! It has not only given me a voice, but a new job, an outlet and therapy that has seen my post natal depression, panic attacks and anxiety almost completely disappear. I'm not saying everyone should start a blog, but I do think finding new outlets and new passions can really bring you back to life when you're feeling blue. Have you been thinking about starting a new hobby but been holding back? There's no time like the present to jump onto the wagon and you never know, you might just enjoy yourself. 2016 is just around the corner and now is a great time to set yourself targets to work to, and working on things you want to achieve in the next 12 months and beyond. This could be ANYTHING personal or professional. It's important to have something to focus on and to work towards, it really helps to break down your weeks and months. Whether it's something very small or something enormous, you can do anything you set your mind to. Is your wardrobe overflowing with clothes you haven't worn since 2010? Is your nail polish collection older than Brooklyn Beckham?! If this is the case - GET RID! Something I am planning to do over the next week or so is completely clear out the clutter in our home and in our lives. I need to do everything from eBaying Harper's old clothes to cancelling card payments and subscriptions that are just taking my money without me even using them. EBay is going to be a godsend for me this New Year, I have soooo much to get rid of that I will probably be sitting on a small fortune by the end of January which can only be hugely positive right!? You need to ask yourself why you're feeling so demotivated by your current lifestyle, why are you holding on to Christmas to bring you happiness, when you are more than capable of being happy 365 days of the year!? Have a word with yourself, what is making you unhappy? Is it work, a friendship, a relationship or is it deeper than that? Only YOU can make the changes to put you on the path to positivity, the only person stopping you from being the best version of yourself is YOU. If you recognise a problem with your mentality, attitude or a huge change in your personality it's up to you to take the steps to seek help or a solution. Once you do, I can guarantee you will feel better, maybe not to start off with, but time is a healer and time gives you the freedom to create your own paths and your own journey. Life is what YOU make it. I hope you have enjoyed this post & looking forward to the new year ahead! I am really looking forward to making some huge life changes and new beginnings in 2016 for me and my beautiful family. I hope you all have a prosperous, successful and very happy 2016! Hello my little Christmas puddings, long time no speak!!! I just wanted to take a moment out of my blogging break to wish all my readers & followers a very Merry Christmas!! My blogging break is nearly over and as of Monday I will be back to posting regular content and I just can't wait, I am itching to get back to writing and feeling the ongoing love & support from the blogging community. I have seen more than a few bloggers, who I know and love, suffering from the same blogging slump as me at the moment and it's sad to see people losing their way and confidence in their little space in this huge business. 2016 will be a great year and how do I know this? Because I am going to make damn sure it is. You don't get anywhere in this life or in this industry without hard work and determination. For a moment I started feeling sorry for myself because I wasn't getting the opportunities that my peers were. I wasn't putting 110% effort into my craft both at home and at work and THAT is the real reason I am in this blogging slump and quite possibly a life slump. I'm going to indulge in EVERYTHING and EVERYONE I love this Christmas. I'm going to make gingerbread houses and bake cupcakes with my daughter. I'm going to squeeze my fiance a little tighter and spoil him rotten as he deserves. I'm going to play 'avengers' with my nephew no matter how much I despise superheroes, and most of all I am going to be positive. Positive about me & my little families bright future, positive about working on my fertility issues and positive that I have a healthy happy family and home! I wish every single one of you reading this a Merry Christmas! I hope you all eat too much, drink too much and have fun. It's December 1st and I am spending my first day of Blogmas in bed watching Christmas movies with Harper. I honestly couldn't think of a better way to start than with a wishlist/gift guide. 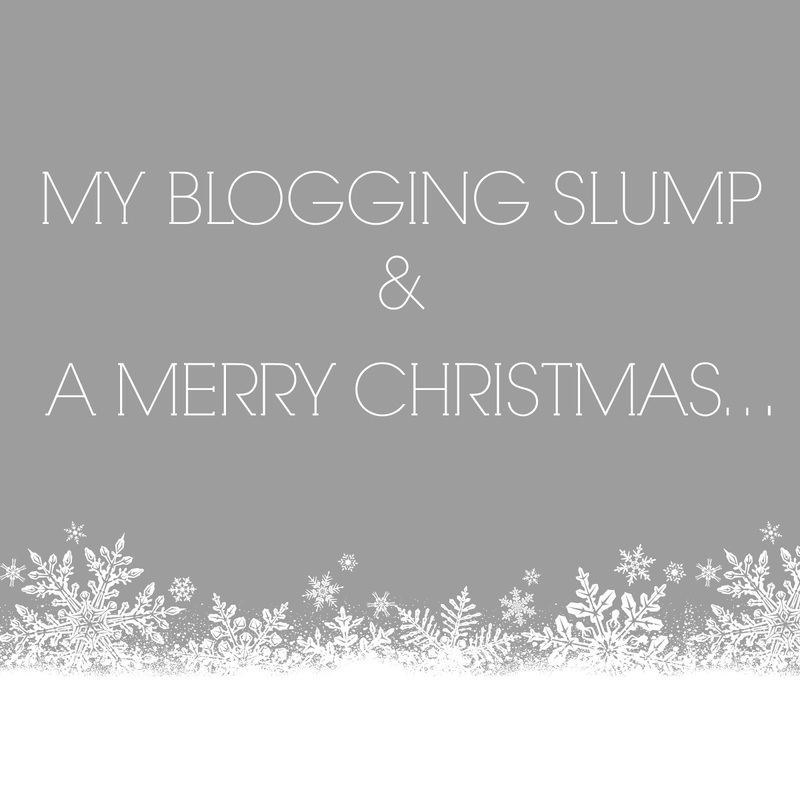 I'm really, reaaally going to try to blog as much as possible in December, definitely more than normal anyway. I wish I could say I will be blogging every single day but I won't because I just have the most busy, hectic and unpredictable lifestyle that I just don't want to make promises I know I can't keep. 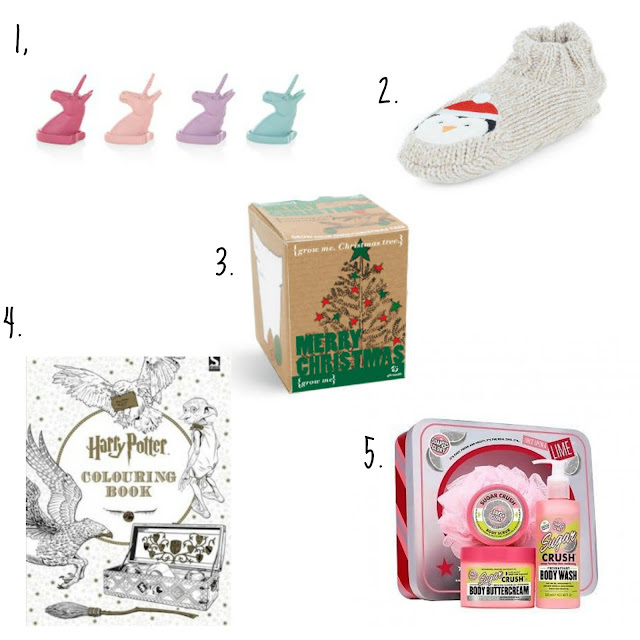 SO, Secret Santa season is upon us and if like me you hate buying people tacky cliche junk , 3 for £10 selection boxes or a gift set of dove shower gels, this post is for you. 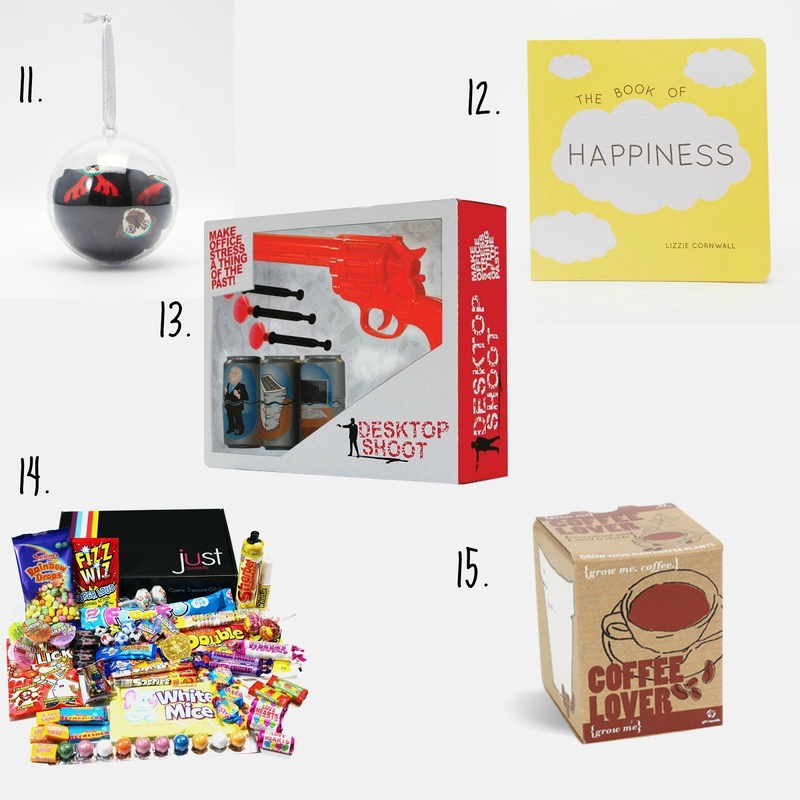 I have been organising our work secret santa this year and I envy the person that gets me. I put a lot of thought into every gift that I buy and this year will be no exception. 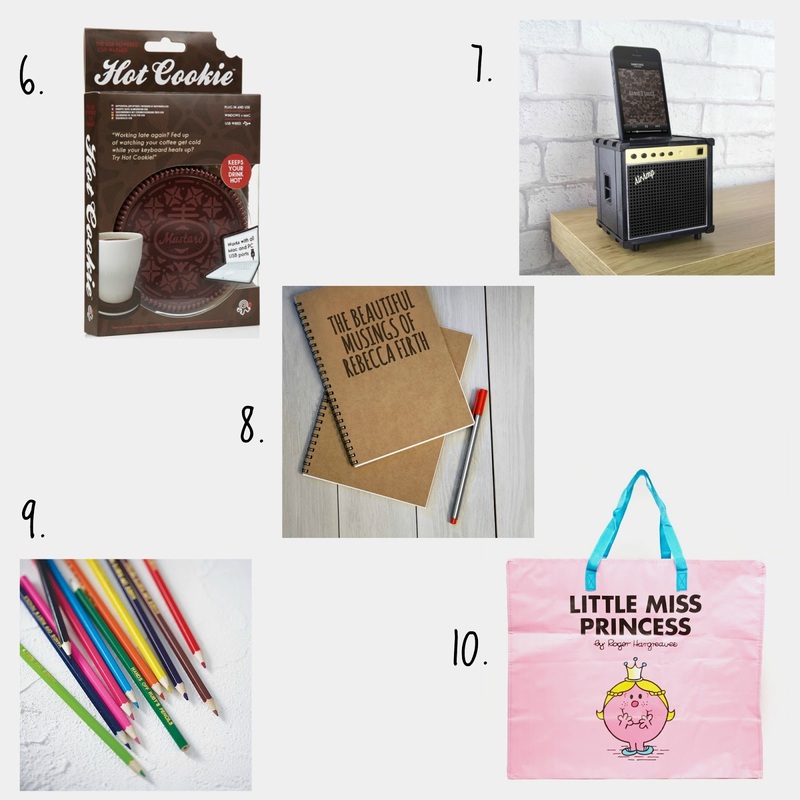 Today's post is a great guide full to the brim with lovely gifts for tiny prices! I hope you have enjoyed this post & find the Secret Santa inspiration you need. Leave me a comment below if you've enjoyed this post and what you have received this year for your Secret Santa.